Drone racing governing or sanctioning bodies. Who will win the biggest drone race is anyone guess. With many competing drone racing sanctioning bodies around the world and the United States. 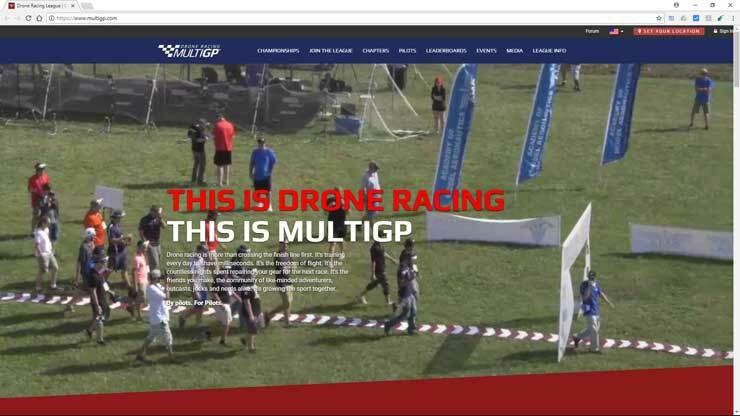 The major players in the US market are the IDRA or International Drone Racing Association, The DRL or Drone Racing League, and MultiGP Drone Racing. All three of these drone racing sanctioning bodies promote their own brand of drone racing with their own rules and specification. We will take a look at these three drone racing sanctioning bodies and give an overview of each and point out some of the differences and some of the things in common between these competing drone racing sanctioning bodies. The International Drone Racing Association, Inc. also known as the IDRA is a professional racing organization that sanctions and governs multiple drone racing events. IDRA’s major events and series’ include the 2017 Challengers Cup, 2016 World Drone Prix, 2016 North America Cup, 2016 GiGA World Masters, and the 2015 California Cup. Justin Haggerty founded the International Drone Racing Association, Inc. or IDRA on April 03 2015 to promote and build drone racing into a world renown sport. Early that summer, Co-Founder Charles Zablan joined the team and began preparing for the 2015 California Cup. IDRA most renown event was the World Drone Prix held in Dubai. The IDRA worked with the United Arab Emirates government and Aerial Grand Prix in October of 2015 to co-found and host the World Drone Prix in Dubai. The event, supported by Crown Prince Sheikh Hamdan bin Mohammed bin Rashid Al Maktou, was held at Skydive Dubai on 11 and 12 of March in 2016 for $1 Million in cash prizes. On April 7 of 2016 IDRA announced a merger with RotorSports (Drone Nationals and Drone Worlds), with the combined bodies to operate under the IDRA brand. Following the merger between the IDRA and RotorSports on April 13 2016, the combined companies operating under the IDRA brand and ESPN announced signing a three-year deal to broadcast drone races. June 22, 2016 IDRA terminated its merger with RotorSports, no longer sanctioning the 2016 U.S. Drone Nationals and 2016 Drone Worlds. The decision was made in order to protect the company from foreseen financial risks associated with RotorSports and the ESPN contract. The decision was later confirmed as the right course of action after the 2016 U.S. Drone Nationals and 2016 Drone Worlds was executed under budget, leaving ESPN to cancel the Drone Worlds broadcast after a mediocre production from Drone Nationals. 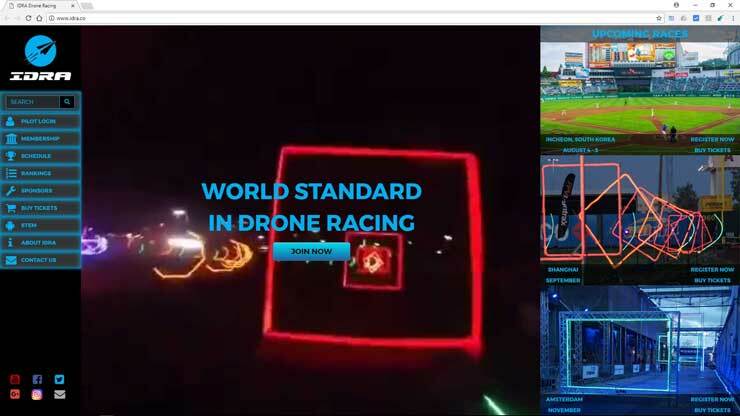 On June 22 2016 IDRA announced a partnership with Vuzix and Amimon to implement and help develop high-definition (HD) video receivers and compatible virtual reality (VR) goggles to drone racing. On August 6-7 2016 IDRA co-hosted, with the Korean Drone Racing Association (KDRA), the GiGA World Masters in Busan, South Korea. The event, sponsored by Korea Telecom, was broadcast on national television and enjoyed 50,000 spectators in its two days. September 21 2016 IDRA hosted a Congressional Briefing in Washington, D.C. to announce their founding of the UAS STEM Alliance, a non-profit organization to promote STEM (Science, Technology, Engineering, and Mathematics) via drone technology and drone racing. November 11-13 2016 IDRA was the Blast Off Sponsor for the first annual Drone Summit at Spaceport America, which included a speaking workshop, drone cinematography challenge, and drone racing event. IDRA’s Founder & CEO, Justin Haggerty, was the Keynote Speaker for the Drone Summit. December 2 2016 IDRA announced its semi-professional series the 2017 Challengers Cup on social media platforms. January 26 2017 IDRA announced its professional series the 2017 Drone Racing Series on social media platforms. 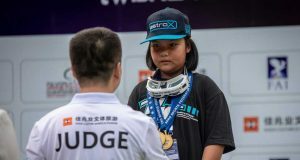 The Drone Racing Series, composed of 6 international races, will start in China and end with a finals in the Netherlands. January 26 2017, IDRA launched the first primary liability insurance ($1 Million Policy) for drone pilots. IDRA Members will receive worldwide coverage to fly recreationally, for practicing and training, and racing! In conjunction, IDRA also will offer event liability insurance ($2 Million Policy) to sanctioned race organizers around the world. IDRA’s insurance service is another attempt to strengthen the growing drone community. To build the new insurance business, IDRA partnered with Avion Insurance, an insurance broker in Florida. February 10 2017 IDRA announced, on social media, its 3YR agreement to distribute race content from the Drone Racing Series and Challengers Cup on Amazon Prime Instant Video. 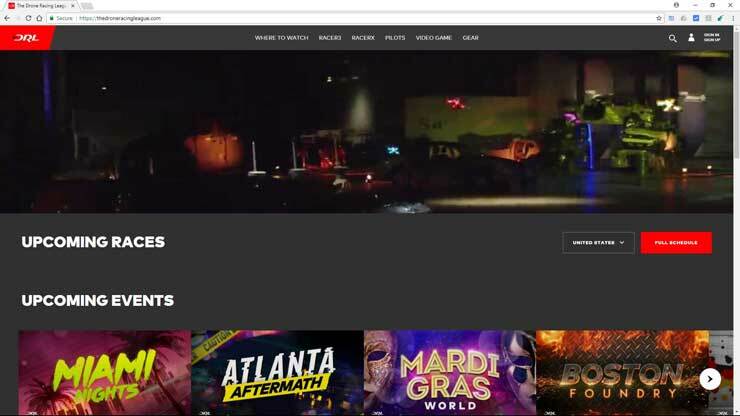 March 02 2017 IDRA announced, on social media, a partnership with Dailymotion to distribute race content from the Drone Racing Series and Challengers Cup. The IDRA is open to join and compete but the opportunities are few. As of the time of this writing the IDRA racing season is not over and the championship has yet to be won. DRL or The Drone Racing League is the most made for tv/cable drone racing series of them all. There are sixteen current racers. The majority of them of them are from the United States, but some have originated from Canada, France, Germany, and the United Kingdom. Some of the players are licensed to a $75,000 contract. THe DRL drone racing circuits have a large eloment of movie set of video production sound stage feel to them. Here are the courses or stages of the 2016 and 2017 seasons. Miami Nights, Level 1: Miami Nights, held at the stadium of the Miami Dolphins NFL team. Featuring the fastest DRL course ever designed with extreme ascents and gut wrenching dives, it tested the limits of speed and performance. Atlanta Aftermath, Level 2: The Atlanta Aftermath, took place in an emergency response and disaster training center, and featured both razor sharp turns and straight sprints that made it the most technical racecourse to date. Mardi Gras, the season continued at Level 3: Mardi Gras World, that brought the pilots to New Orleans for DRL’s most colorful course yet. Pilots sped between, over, and around the elaborate floats used in the famous Mardi Gras parade on a course that favored pilots unafraid to take risks in tight spaces. Boston Foundry, a level made of steel and fire, Level 4: The Boston Foundry was the final event of the 2017 regular season. Pilots faced long dark corridors, hulking machinery and hairpin turns in every direction. Munich Playoffs, with the regular season over, only the top 12 pilots advanced to a Playoff Level in Munich, Germany. An insane course built into a former motorcycle factory in the center of Bavaria’s capital city, the unforgiving racecourse through graffiti-covered cement eliminated all but this season’s very best pilots. World Championship, for the championship event at the iconic Alexandra Palace, pilots raced a round robin format to determine the final six. They then battled through the seven most important heats of their lives to crown the DRL 2017 World Champion. The best drone pilot in the world. These are the courses used in the 2017 season. In July The Drone Racing League announced Jordan “Jet” Temkin, as the 2017 DRL Allianz World Champion. Jet also won the crown in 2016. DRL is the most media produced series of the group. It is by far the most studio centrix drone racing series. Entry into DRL? Difficult with few points of entry for aspiring drone racing pilots. Looking forward to the 2018 DRL Drone Racing League Drone Racing season. It should be another exciting season. MultiGP is by far the most grass roots based series of the group. In January 2015 Chris Thomas became involved with his local flying club, Brevard Multirotor. This group of FPV enthusiasts was holding events and races in the Brevard County region of Florida. At the time there was a need for someone to step in and help the pilots manage video frequencies and better organize the events in the area. Chris enthusiastically took the reigns! He created a spreadsheet and some frequency cards that helped managed the races. In the last weeks of February 2015 MultiGP was created and started aiding local races in the Central Florida area. The first major event MultiGP assisted with was the CFL FPV event held in Leesburg, FL the last weekend in March 2015. 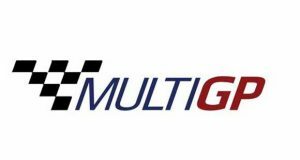 MultiGP developed a web-based application that would soon replace the spreadsheet and frequency cards. RaceSync is the proprietary software that assigns racing slots and video frequencies in real time, and allows pilots to use their smartphones to check-in when they arrive for a race and assign them a race slot and optimum video frequency that will not interfere with the other pilots in the race. In March 2016 the software LapSync was created by James Elkins. LapSync is the timing system component of MultiGP and communicates with RaceSync. LapSync currently works with both Trackmate and I-Lap infrared transponder systems. In a 90-day period at the end of 2016 Lapsync had counted 15,307 laps for MultiGP. 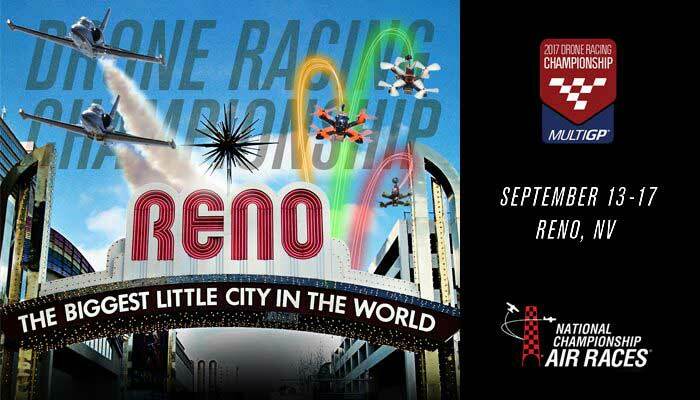 The MultiGP race season is still being contested with the championship to be decide at The 54th National Championship Air Races held in Reno Nevada September 13-17 2017. Top pilots from each MultiGP regional qualifier who advance to their respective regional final will have an opportunity to advance to the championship, as the top two pilots from each of the 14 MultiGP regional finals will be invited. The 28 regional finalists will be joined at the championship by 117 other pilots who have proven themselves through other methods, such as highly ranked competitors from the regional finals and universal time trial leaderboards. In total, 145 pilots will compete at the championship, including the 2015 and 2016 MultiGP National Champion, Shaun “Nytfury” Taylor, who will have the opportunity to defend his title. It is shaping up to be one hell of a final. Should be a great weekend with multiple championships being decided. Both fixed winged and rotor type craft. In what may be the most important race in drone racing it is still up for grabs which if any of these drone racing sanctioning bodies will be the eventual winner. And we have a ring side seat to it all.